As the floods in Somerset and the Thames valley continue with apparently little abatement, we see footage of farm stock and local wildlife increasingly at risk due to rising floodwaters, sometimes being evacuated altogether. On the other hand, little is said about other wildlife caught up in this calamity – all those unseen species that inhabit the undergrowth and hedgerows tend to go unnoticed. It is worth giving consideration to bumblebees as flagship species for this flood threatened and unnoticed group. Bumblebees nest in holes in the ground, giving them a propensity to be easily flooded during prolonged rainfall and especially if water levels rise and as a consequence of land inundation. Evidence of this has already been reported in flooded Machair in NW Scotland and the Western Isles such as low lying areas of Uist in 2007. The longer floodwaters remain in place, the more isolated individual bee colonies become as interaction between nectar sources on separated islands becomes minimal. If individual islands lack floral resources the demise of the bee colony may be swift, but even once the water goes, there remains behind a smothering of silt and pollution that prevents rapid re-growth of vegetation. Many plants will simply have rotted away while underwater and the loss in floral diversity will soon be followed by the demise of local bumble-bee colonies. We really have no idea what the long term effects of the floodwaters are, but we can be sure that it will take time for bumblebee colonies to re-establish in those areas now under water. Historically and biogeographically, wild areas subject to periodic inundation are very fertile and support large populations and quite diverse ecologies, but our land management has an agricultural emphasis (resulting in low biodiversity to begin with) and the waters are polluted with sewage. The effects are largely unknown, but we can almost certainly anticipate lower numbers of pollinators during summer in fields associated with the floods. Flooding isn’t the only peril. Direct loss through drowning is soon replaced with a longer term impact on flight period and food availability. Cold wet days leave less time for foraging at flowers and also means that greater energy is expended during flower visits, leaving early season queen bees exhausted and vulnerable to cold and predation. Additionally there are fewer flowers in bloom, especially in the important spring months when bumblebee populations are nurtured. The long term effects of vast areas flooded, is loss of flowering diversity, which itself has a negative impact on all pollinators, such as bumblebees, honeybees, hover-flies and butterflies. 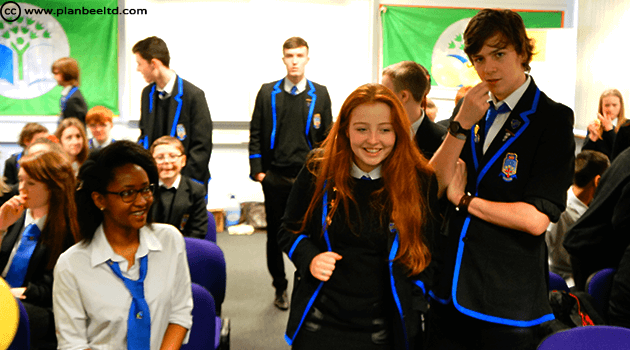 Check out our latest video of the Green Legacy Project 2014! 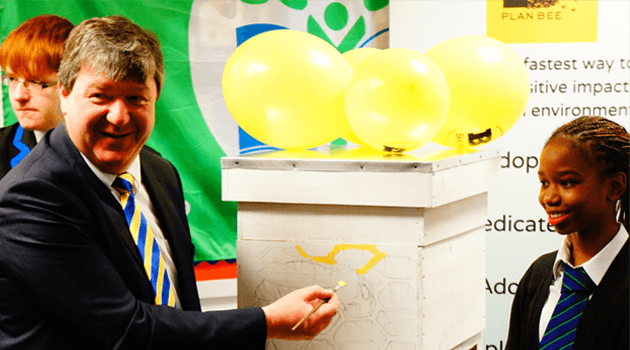 Last week you have seen the photographs of the launch ceremony of our Green Legacy Project 2014, now you can watch the video that shows you the amazing atmosphere created by the schools and the Secretary of State for Scotland, Alistair Carmichael! 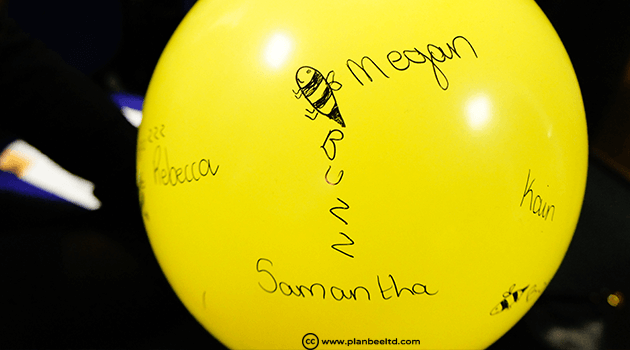 Green Legacy Project 2014 – Launch Ceremony from Plan Bee Ltd on Vimeo. It is not too late to see the album here. 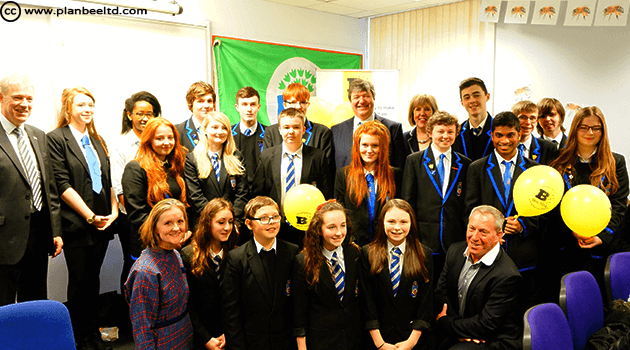 Glasgow’s Commonwealth Games provides a unique opportunity to shape the future across schools, business and the wider community Scottish Secretary Alistair Carmichael has said as he launched the latest 2014 Legacy project. 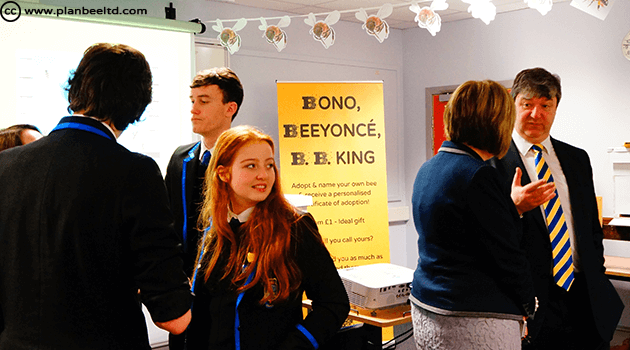 The Scottish Secretary visited Lourdes Secondary School in Glasgow to launch a scheme by eco-innovation company Plan Bee. 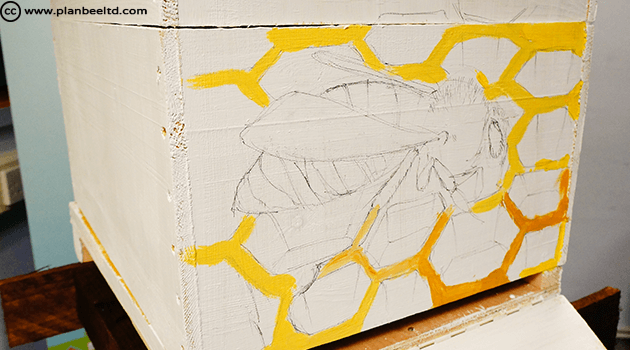 The company works with organisations to install and manage bee keeping facilities across various sites. Their business model fits within the Glasgow Legacy 2014 Sustainability Hub which aims to use the unique profile of the games to provide lasting change across the whole of Scotland. 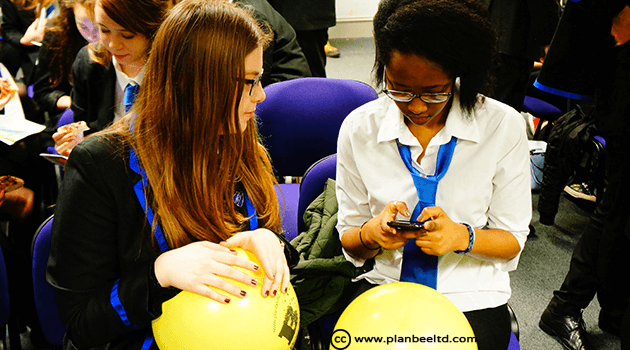 Plan Bee has been able to benefit from the UK Government’s Seed Enterprise Investment Scheme which offers tax relief and encourages investors into start up businesses, to raise £130,000 in order to continue and expand its work. 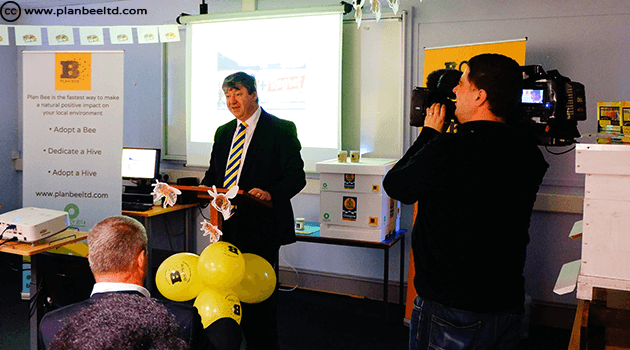 ‘I am delighted to have been part of the Plan Bee project launch. It is exactly the sort of innovative thinking I want to see come from the Commonwealth Games. 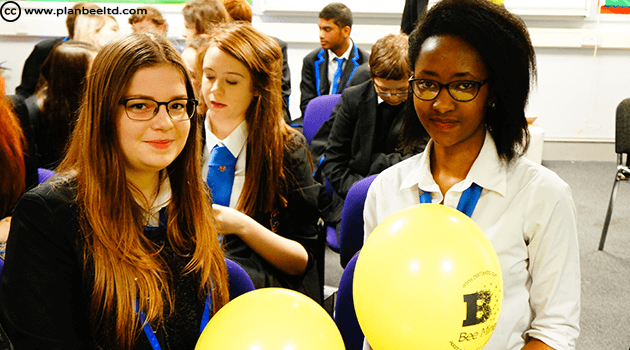 There are only positives that can come from schools educating their pupils about the importance of biodiversity. ‘It is great to see this company make use of the UK Government’s Seed Enterprise Scheme. 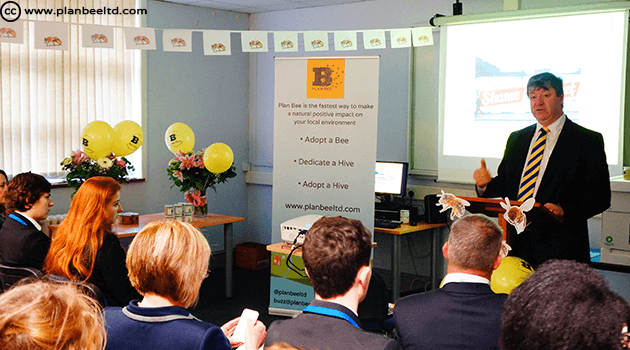 Plan Bee have taken the initiative and have been able raise £130,000 to expand its work. 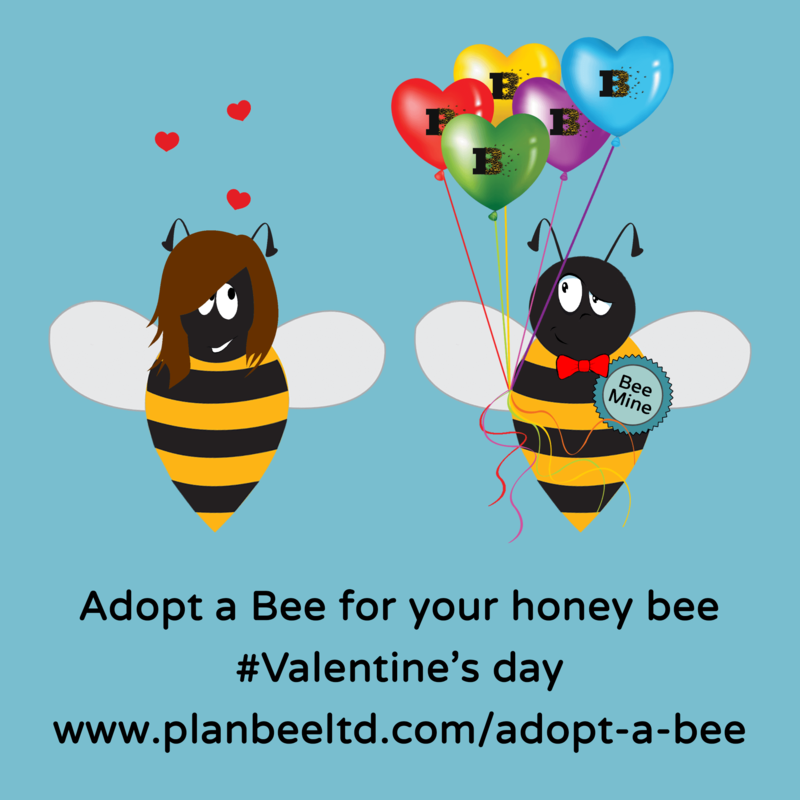 Plan Bee Ltd is a new generation of investment vehicle with investors wanting to make profit but at the same type help cure some of the world’s ills. The mentality of investors, particularly millennials, has shifted away from pounds and pence to pounds and sense. The designs will then be placed online and the public can vote for their favourite. Following this, the winning school will have bees introduced to hives in summer 2014, and Plan Bee will assist in looking after them. That is the best source of motivation ever! 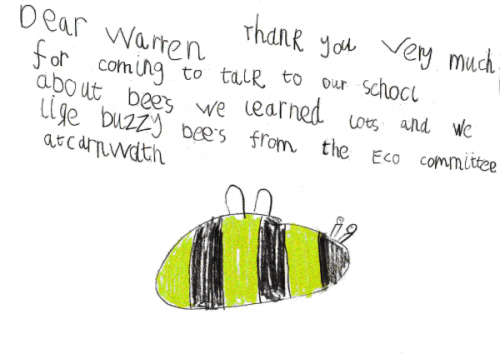 A child from Carnwath Primary School drew this wonderful bee to thank us for coming to talk to them about the importance of bees. We love it and you?